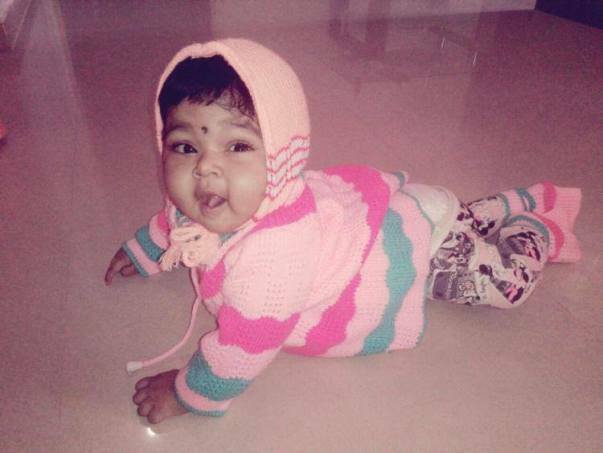 9-month-old Ovi is suffering from end stage liver disease. Her diagnosis came soon after she was admitted in April with a case a bloated tummy. "My baby couldn't pass urine. She was 5-month-old then. Before that, we never had to take her to the hospital even for simple cold. She was so happy and chirpy all the time. 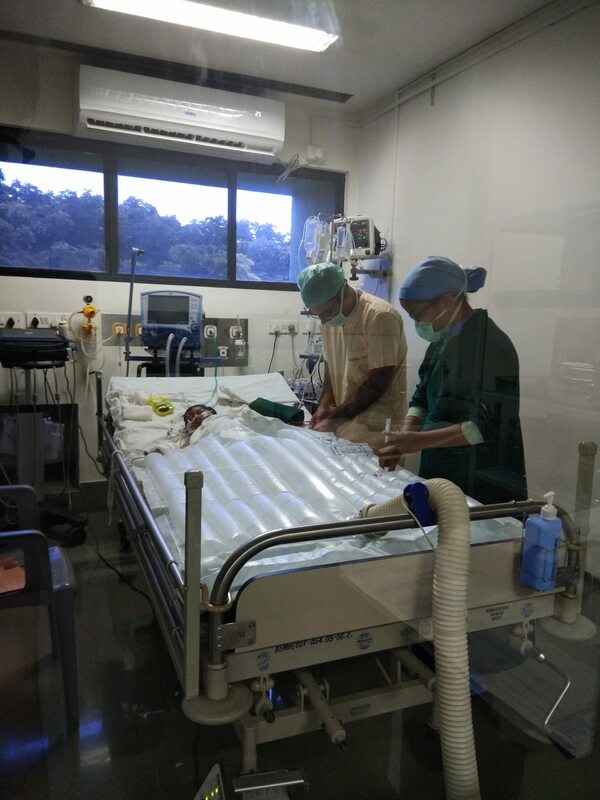 She is our first daughter and we were so happy to even think about such a scenario where my baby will have to undergo a liver transplant to survive", said Ovi's father, Ghanshyam. 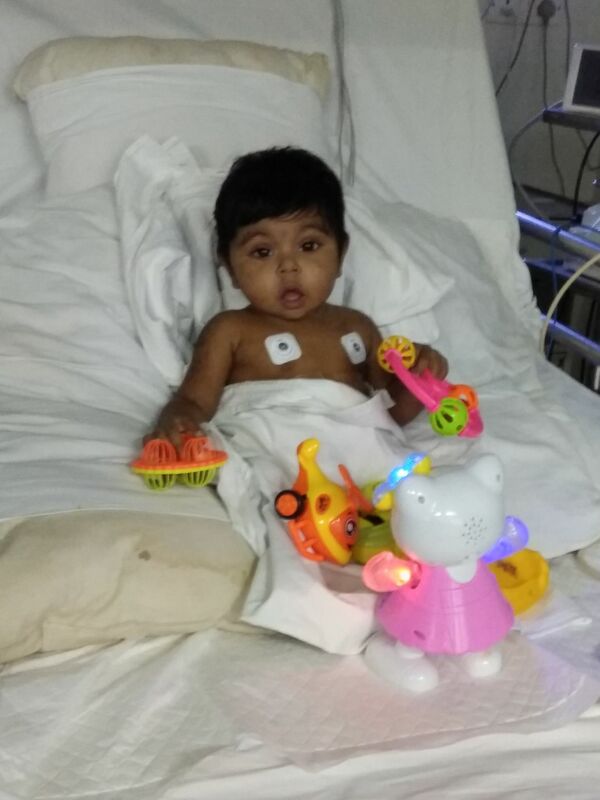 As it stands, Ovi has only one chance at survival and that is liver transplant. 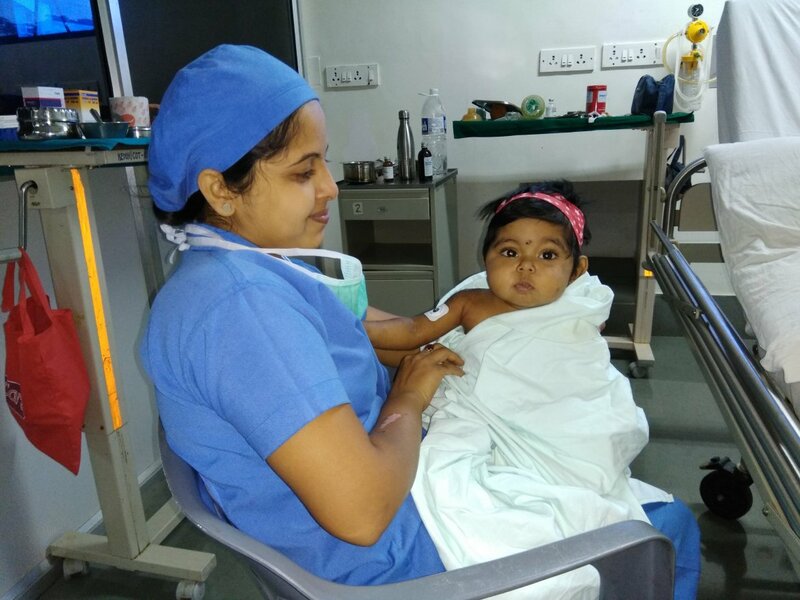 Luckily, after preliminary tests, Ovi's mother Rajashree is a perfect match for a live donor. While the family has complete trust in the doctor's ability to cure their daughter, it is the money that is making them lose hope. Ghanshyam is a labourer who earns Rs.10,000 per month. Rajashree is a housewife. Together they are finding it extremely difficult to arrange the estimated cost of Rs. 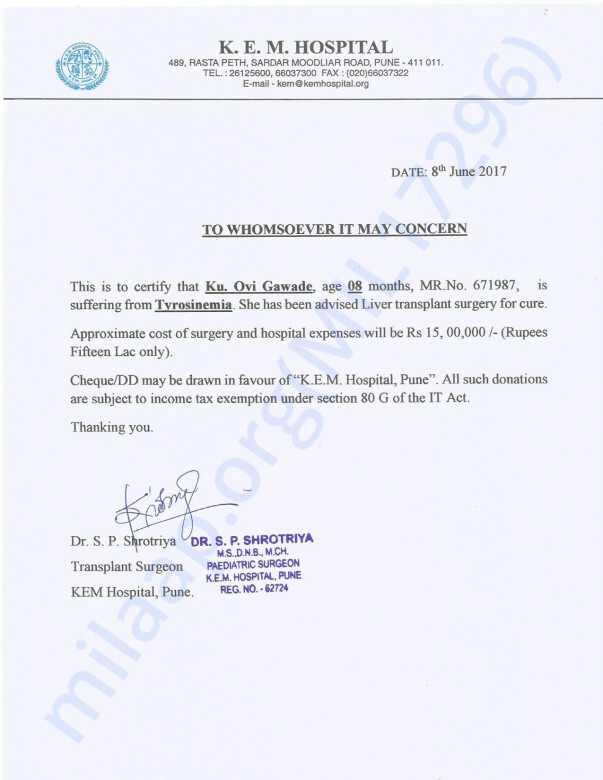 15 lacs required for the transplant. "In past four months, I have realised everyone is a well-wisher only when you're happy. My baby is going through so much and everyone knows how desperately we are seeking to arrange for the funds, but not a single friend or family member has asked us if we need any help. It's not only about the money, if I am being honest. In this difficult time, my family could do with a little bit of emotional support as well. But everyone seems to be avoiding us. Maybe they think if they talk to us, we'll ask for money," said Ghanshyam. 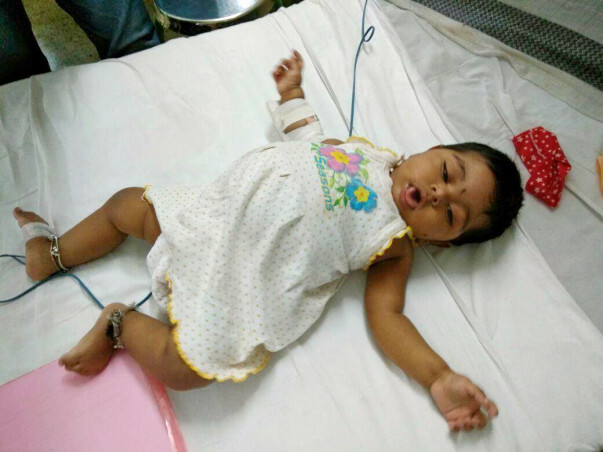 Ghanshyam and Rajashree are trying their best to arrange the funds for Ovi's transplant. Although Ovi is just an infant, she is going through something that would be a nightmare for even an adult. Your contribution can save his life and give him a future. Many Thanks for your support and blessings for Ovi. Ovi has been discharged from hospital on 6th Sept. and is coming regularly for follow-up on a weekly basis. She is stable now and happy at home. Her parents are very grateful towards all of you for supporting them to go through their tough times. Once again Thank You for all the love and support. Please do pray for her health. Many Thanks for your support towards Ovi's Liver Transplant. With your support and blessings Ovi is recovering now. Yesterday she has been shifted to ward from recovery room. She is stable now and will be discharged soon. This is to update you that Ovi has underwent Liver Transplant surgery on 2nd August. Surgery went well. Both the Patient and Donor (Her mother) are stable now. Many Thanks for your support and Wishes.